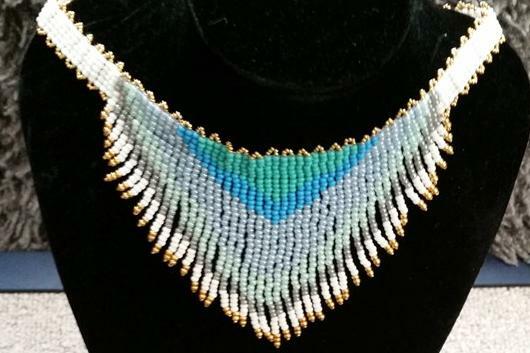 By using Miyuki seed beads & Czech glass beads in a wide range of colors, sizes and finishes, Sharron Cooper is able to translate her unique designs through intricate beadwork. The relaxation Sharron finds through her beading does not compare to the "priceless" enjoyment of seeing the delight on the faces of clients, friends and family when they receive one of her pieces. Sharron has created many one-of-kind works at the special request of clients and is available for commissions. Sharron will be on-site selling, creating and discussing her jewelry on Fridays, 11:30 am - 1:30 pm, July 27, August 3, 17 and 31. Credit & debit cards accepted when artist is on-site.